An Overview of CBD Hemp Oil – Manufacture, Benefits, Uses & Much More! Throughout the history, cannabis plants have been used for medicinal purposes. Marijuana and hemp owe their amazing medicinal potential to their cannabinoids or active compounds. Of more than a hundred identified cannabinoids, THC and CBD are most studied, and the latter is considered as the source of health benefits we experience. CBD Oil – How Is It Made? CBD oil became a natural and effective way to treat a number of health conditions, but despite its increasing popularity, there is still a lot to learn about it. This post is about to shed some light on CBD oil, its production, and benefits. In order to understand CBD oil and what it can do for you, it is of crucial importance to get informed about CBD itself. What is it, exactly? CBD stands for cannabidiol, a major phytocannabinoid that accounts for about 40% of Cannabis sativa extract . The first isolation of CBD occurred around the 1940s by two independent investigation teams. One team was led by Roger Adams, an American organic chemist, and it successfully isolated this cannabinoid from marijuana. Just two years earlier, in 1938, a biochemist at National Institute for Medical Research, Thomas Spence Work, and his team performed a successful isolation of CBD from Indian hemp resin . Although these discoveries are important, it took about two decades to witness the rise of cannabinoid science and uncovering more details about CBD itself. In 1963 Raphael Mechoulam, an Israeli organic chemist, and a fellow scientist Youval Shvo discovered the chemical structure of CBD and shed some light on the nature of cannabinoids. It is important to mention that Mechoulam made significant contributions to this field of science which is why he is referred to as the father of cannabinoid science. One year later, in 1964, Mechoulam and Dr. Y. Gaoni elucidated the chemical structure of the primary psychoactive compound in cannabis, THC, and thus marked the beginning of the modern pharmacology of cannabis. Their THC-related discovery was a catalyst for all upcoming research on cannabis plants, THC, CBD, and all other aspects of marijuana and hemp. CBD oil carries amazing potential to help us treat or manage a number of health problems, but most of us don’t know is it made actually. As you already know, the oil derives from the cannabis plant, but the process is more complicated than that. The production of CBD oil begins with selecting adequate cannabis genetics . For high-quality CBD oil, strains with a high content of this cannabinoid are used. CBD oil derives from flowers of cannabis plants and it is concentrated in their resin glands or trichomes. These particular glands contain oil which is abundant in CBD. The quality and quantity of this oil differ from one plant to another. Alcohol – The plant is soaked in a solvent like grain alcohol. When the plant soaks, the remainder of liquid is abundant in CBD and some other cannabinoids. After the solvent evaporates, CBD oil is ready for use. Nowadays, industrial production of this oil is done by combining the plant with ethanol. This process is similar, the plant is soaked in ethanol, but resulting alcohol solution goes through Roto-Vap. C02 – The most scientific method for extraction of CBD oil. It revolves around using carbon dioxide under different pressures to extract the oil. This method is one of the most expensive extraction techniques due to hi-tech equipment which only trained; experienced personnel can operate. While CBD oil is highly beneficial for your overall health and well-being, it doesn’t really have the best taste. Now, if we bear in mind that popularity of the oil is growing and people are making it an important part of their lives, producers are starting to pay attention to the taste, and they’re working hard to improve it. Besides taste, producers also deal with the fact that not all people need CBD oil of different strengths. To accommodate needs of different consumers, oil has to be diluted. As a potential consumer of the CBD oil, your main goal should be to focus on the quality of the product and the plant material that was used for the oil. Numerous brands provide CBD oils today, opt for the one whose products fit your needs the most. As shown above, the quality of CBD oil depends on the plant that was used for the extraction. 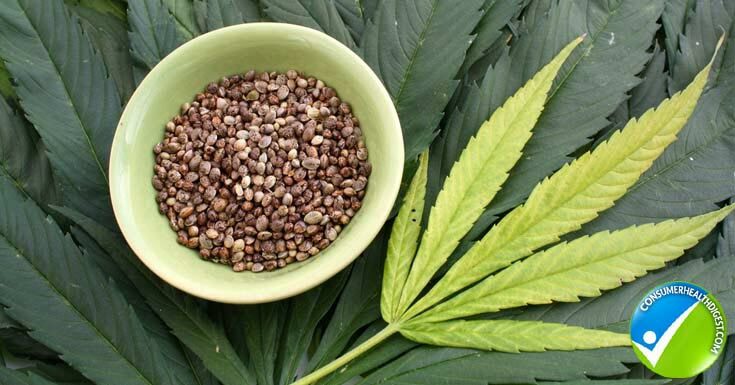 Cannabis sativa plants can be divided on hemp and marijuana. Since they belong to the same family, it is easy to assume oil extracted from them is same, but it is not. 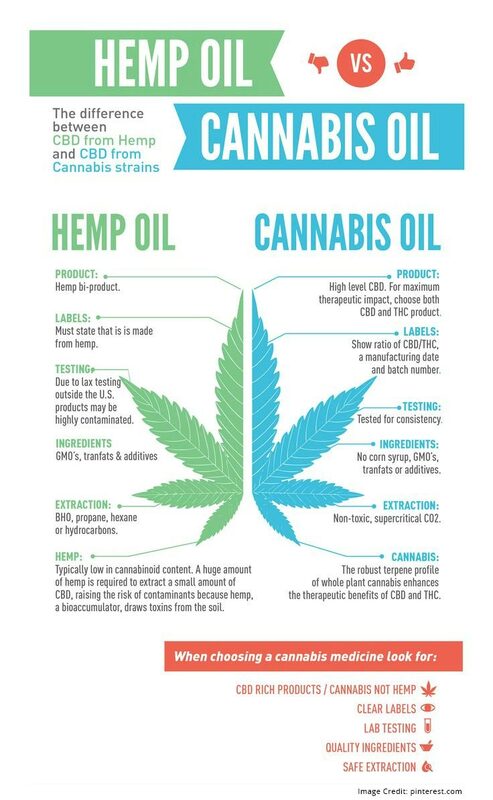 Hemp CBD oil and marijuana CBD oil are different. Since this is a common misconception, it is important to clarify the topic and explain the differences between these oils. Let’s start with elucidating the difference between hemp and marijuana. Their main point of difference is THC content. Remember, THC is a cannabinoid responsible for the psychoactive properties of marijuana i.e. that’s what makes a person “high”. While marijuana is high in THC, hemp isn’t. That’s the best way to tell these plants apart. Some countries even set a limit to THC, and everything and cannabis plants that contain higher content than allowed are automatically classified as marijuana. In Europe, THC limit is 0.2% while in Canada it’s 0.3% . While hemp is low in THC, it has a higher CBD content than marijuana. Cultivation is yet another way to differentiate the two plants. Since marijuana has to achieve maximum THC levels, it requires a lot of attention, stable light, humidity, ideal C02 and oxygen levels. It grows best in grow-room conditions. On the other hand, hemp is usually cultivated outdoors to maximize the size and yield. Although coming from the same family, marijuana and hemp look differently. Marijuana is grown for its flowering buds; which is why it is short and wide. Hemp usually doesn’t have buds, and it has a tall and narrow appearance. If we keep in mind that hemp and marijuana are different, then logic dictates CBD oil extracted from the two plants is different as well. The primary difference here is that CBD oil from marijuana contains higher traces of THC as well. On the other hand, CBD oil from hemp doesn’t have to deal with this problem because it is low in THC anyway. 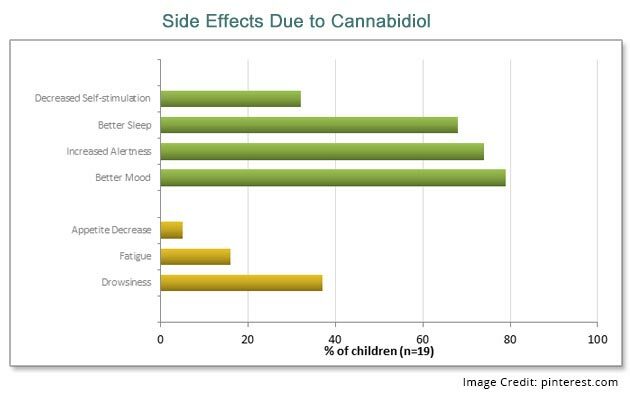 CBD oil from hemp is safe for both children and adults, and it is more accessible than marijuana-obtained oil. The reason is simple; CBD is legal pretty much everywhere while THC isn’t. Since oil from marijuana also comes with a certain level of THC, it may be a problem. Furthermore, it is important to mention that FDA regulates the production of CBD oil from hemp because industrial hemp production is legal at the Federal level. FDA defines CBD oil as a dietary supplement due to the amazing health potential. Nevertheless, FDA doesn’t regulate CBD oil from marijuana. The reason is simple; this agency doesn’t regulate marijuana industry. Lack of FDA regulation is a major problem for CBD oil obtained from marijuana from a safety perspective. Since the production isn’t controlled, producers have the freedom to do just about whatever they want and, in some cases, quality suffers. Poor quality is a major threat to one’s safety. One of the trickiest things about CBD oil, especially if you’re new at this, is getting the right dose. An effective dose of the oil varies from as little as a few milligrams to a gram or more. If you’ve used CBD oil before, then you probably know the dosage you find helpful. But, if you have little to no experience, the best thing to do is to start with small dose first. Don’t assume it won’t help you! The safest way to find the ideal dosage and to experience benefits is to start from the smallest amount. Ideally, you should take several smaller doses throughout the day, rather than one big dosage. Just like with “regular” medicines you take for good health, taking the oil every day at the same time is a good idea. Ensure that daily ratios and doses are the same. 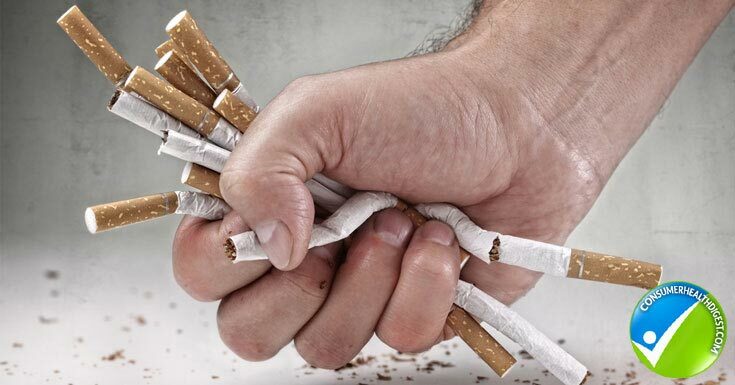 Give it a few days or weeks and if no improvements occur, gradually increase the dosage. Take your size into account as well. Larger persons need a bigger dose than smaller individuals. Every person is different which is why we need different amounts of oil to feel better. If you aren’t quite certain about the right dosage, you should contact either your physician or a specialist and other experts who specialize in CBD. The oil is taken orally in a drops or tincture format, but concentrated paste is also available on the market. Other formats include capsules, mouth strips, and edibles like chocolate bars. When taking CBD oil, don’t swallow it immediately. Instead, hold it under the tongue first to allow the oil to be absorbed in the mouth before you swallow. While oral intake is the most common method, some people also use CBD vape oil and CBD eliquid with inhalers or vaporizers because they ensure instant delivery. Options are endless! The best thing to do is to try different approaches and determine what works for you best. Words CBD oil immediately associate most people to marijuana and its “high” effect, but this isn’t likely to happen. Remember, THC is a psychoactive compound in cannabis, not CBD. What’s more, studies show that CBD has the potential to counteract some of the negative effects of THC .Therefore, if you are concerned about CBD oil and whether it will get you high, you can be certain it won’t. The oil can reduce stress levels and, in turn, make you more relaxed which some people might understand as “high”, but it is not. Only products with high THC content are associated with psychoactive effects. One of the best characteristics of CBD oil is its safety. It gives you hope that you can improve your health or manage/treat some health condition in a safe manner without uncomfortable side effects. Although scientific information about this particular aspect of CBD oil is limited, some studies showed it is safe. One study of 48 participants found that CBD oil exhibits protection against reinstatement of contextual memory. No side effects were reported throughout the research period. A separate research, published in the Permanente Journal, aimed to inspect the efficacy of CBD oil and a pharmaceutical medication for anxiety and insomnia in children. Scientists discovered that pharmaceutical medications provided partial relief, short-term results, and major side effects. On the other hand, CBD use resulted in a maintained decrease in anxiety as well as steady improvement in the quality and quantity of your sleep . In fact, CBD provided these benefits without inducing side effects. However, this doesn’t undermine the importance of consulting your healthcare provider before you start using CBD oil, particularly if you also happen to take medications for some other health condition. Throughout this post, it has been claimed that CBD oil provides a wide array of health benefits. These claims aren’t baseless but supported with strong evidence. Below, you can see the list of important benefits associated with intake of CBD oil. Pain relief is probably one f the most common uses of CBD oil. A study whose findings were published in the Journal of Experimental Medicine discovered that CBD significantly suppressed neuropathic and chronic inflammatory pain in mice. What’s more, it did so without inducing analgesic tolerance. Scientists concluded the study explaining that CBD and other cannabinoids may represent a novel class of therapeutic agents for the treatment of chronic pain . A paper that appeared in the Current Pharmaceutical Design explains that CBD appears to have a pharmacological profile similar to atypical antipsychotic drugs. Moreover, CBD also prevents human experimental psychosis. The exact mechanisms that CBD uses to produce these effects are not fully understood, and scientists call for more studies on this topic. One thing is for sure, CBD has the future as a therapeutic agent in psychosis, primarily in patients with schizophrenia. Anxiety is a common problem nowadays indicated by a number of symptoms including sweating, palpitations, shaking or trembling, chest pain or tightness, choking sensation, just to name a few. Studies show that CBD has anxiolytic effects. For instance, Brazilian scientists discovered that CBD reduced anxiety in participants with social anxiety disorder. Scientists also report it could provide benefits for patients suffering from panic disorder, OCD, PTSD, social anxiety and others. It is not uncommon for cancer patients to turn to CBD oil as their last hope to get better. This isn’t a coincidence! For quite some time it has been theorized that CBD oil can prevent or manage cancer, and studies support those speculations. Evidence shows that CBD contains anti-proliferative and pro-apoptotic effects, which has the massive potential to inhibit migration, adhesion, and migration of cancerous cells. In 2006, scientists from Italy published a groundbreaking research wherein for the very first time CBD inhibited the growth of different breast tumor cell lines and showed lower potency in noncancerous cells. The journal Blood published an interesting study which found that CBD, acting through CB2 receptors and ROS production, represents a novel and highly selective treatment for leukemia. Evidence shows that lymphoblastic diseases expressed higher levels of CB2 receptors compared to other tumor cell lines. These findings suggest that tumors of immune origin could be sensitive to the CB2-mediated effect of CBD. Moreover, the Journal of Molecular Medicine featured a study which found that CBD protected DNA from oxidative damage in participants with colorectal carcinoma. Also, CBD increased endocannabinoid levels and decreased proliferation of cancerous cells. This means CBD oil can be used for management of colorectal cancers as well. For hundreds of years, cannabis has been used as a natural cure for nausea and vomiting. 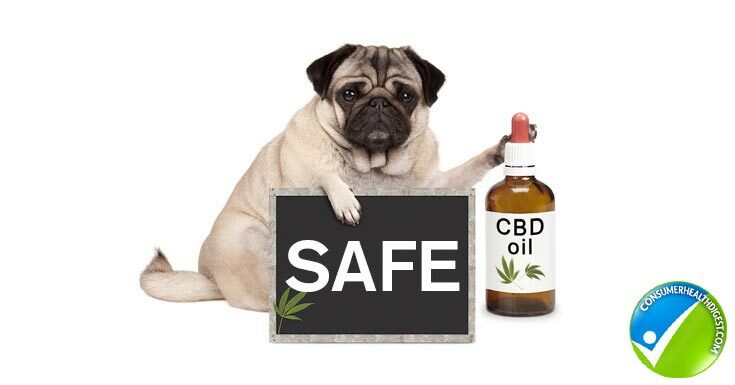 The British Journal of Pharmacology published research which discovered that CBD has anti-nausea and antiemetic effects. Patients who deal with nausea and vomiting report they feel much better after using CBD oil. It may also provide relief to chemotherapy patients who experience these symptoms due to their treatment. Benefits of CBD never cease to amaze us. Together with cancer prevention and management, reduced pain and inflammation, and other effects, CBD oil can also improve our cardiovascular health. Evidence shows that CBD protects against vascular damage induced by a high-glucose environment, type 2 diabetes, or inflammation. Cardiovascular health benefits of CBD are primarily linked to its antioxidant and anti-inflammatory effects . In May 2017, the New England Journal of Medicine published a study which discovered that CBD decreased the number of convulsive seizures in children with a severe and usually fatal epilepsy disorder. The study included 120 children assigned to CBD group or placebo. Among kids who received CBD, scientists found the decrease in the frequency of convulsive seizures was 23% higher compared to their counterparts from the placebo group . You may have heard about some of the above-mentioned benefits of CBD already, but you’ve probably never known CBD oil can help you combat your cigarette addiction. One study enrolled 24 smokers who were randomized to two groups where they received an inhaler of CBD or placebo. After the course of the study, participants with placebo inhalers experienced no change in the total number of cigarettes consumed. Participants who were assigned to CBD group marked a 40% decline in cigarette consumption. CBD oil has to be stored properly in order to retain the same level of efficacy with every use. Just like other products, CBD oil can degenerate as it ages over time. Golden rule states that CBD oil should be stored in a place that is dark and cold. As you can guess, the most common place to store the oil is in the fridge. The reason is simple, heat, light, and air exposure contributes to the breakdown of CBD which is why you have to be proactive and fight against them. A fridge is an ideal option for storing CBD oil, just make sure the product is properly packed and stored as well. There are more than 100 cannabinoids in cannabis plants, but two most important ones are THC and CBD. Of these, the latter is the source of most health benefits of cannabis. CBD oil is commonly used today for treatment of numerous diseases and supports overall health. The oil is made through careful selection of plants and process of extraction. CBD oil from hemp is regulated by the FDA and doesn’t contain THC which is found in CBD oil coming from cannabis. 24. Morgan CJA, Das RK, Joye A, e tal. Cannabidiol reduces cigarette consumption in toacco smokes: preliminary findings. Addictive Behaviors 38 2433-2436. An Overview of CBD Hemp Oil - Manufacture, Benefits, Uses & Much More!